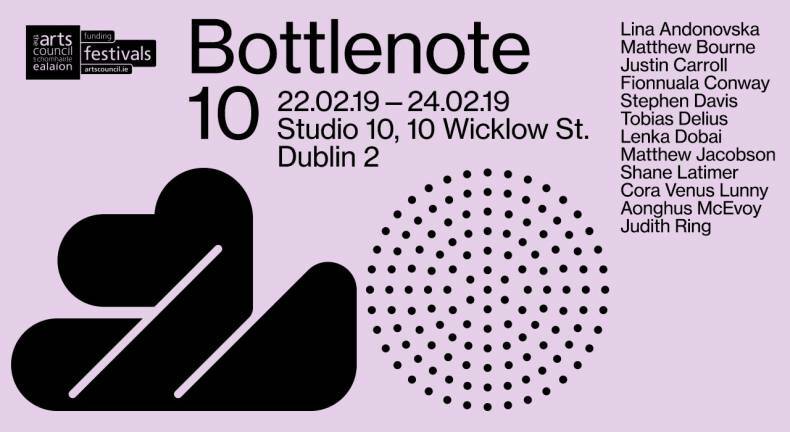 This year Bottlenote celebrate the 10th edition of their annual festival of improvised music in Dublin. Bottlenote once again proudly present a selection of improvising musicians from Ireland alongside their international counterparts for three days and nights of bold, challenging and innovative music. Each concert will feature two performances by both well established and new projects along with a smattering of ad-hoc ensembles made up of the festival participants devised over the course of the weekend. "A no-holds-barred celebration of beautiful noise. It’s a defiant stand against the “safeness” of mainstream commercial music, providing musicians and audiences with the space (literally and figuratively) to get past their preconceptions in an environment that buzzes with creative energy. [...] In fact, no-one knows what to expect – that’s the idea."